Out now from Giant Meteor Films comes the fantasy-horror throwback APOCALYPSE RISING. Directed by Richard Lowry (DOMINION) from a script written by award-winning writer/producer Gregory Wolk. APOCALYPSE RISING stars rising movie muscle Shane Samples, Hunter Park (Anamoly) and Johanna Rae (Psychos). 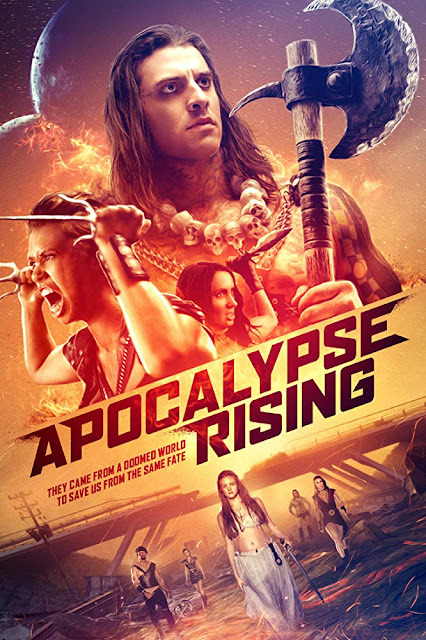 APOCALYPSE RISING is out now on VOD and DVD from Gravitas Ventures and Giant Meteor Films.